You should always have these items handy in case of an emergency on the road. Driving is one of those everyday routines that’s just essential for getting things done. Whether you’re headed to work or running errands or visiting loved ones, your car is a pretty important part of how you function on a day-to-day basis. Unfortunately, cars are also unpredictable. But prepping for a breakdown or other car-related emergencies can seem overwhelming, especially if you're already on a budget. The good news though is that you don’t have to drop hundreds of dollars to be prepared for natural and mechanical setbacks before they strike. 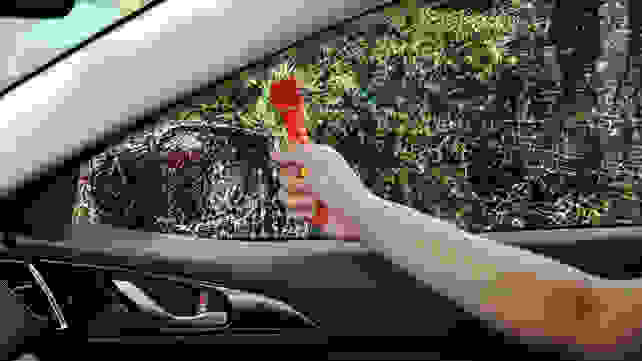 Here are some of the most useful items you should have with you in your car at all times, from first aid kits to the best car USB chargers. Best of all, these top-rated products are all under $30, so there's no reason not to stock up before you hit the road. A first aid kit always comes in handy. Whether it’s a little cut or a more serious wound, injuries happen on the road all the time. 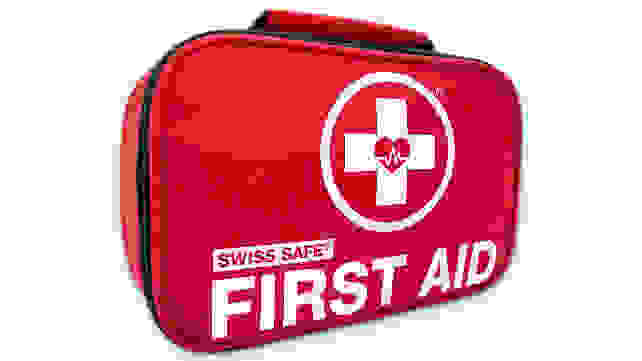 Having a first aid kit like this one from Swiss Safe, which we’ve recommended in the past, can help you stay safe and treat emergencies wherever they come up. This five-star kit comes fully stocked with virtually everything you’ll need too, like bandages, gauze pads, disposable gloves, and so much more. Be sure you don't freeze if you're ever stranded. It’s hard to imagine a scarier scenario than getting stranded in your car during the dead of winter. In freezing cold temperatures, having thermal blankets can literally be a lifesaver, which is why this four-pack should be at the top of your must-buy list. 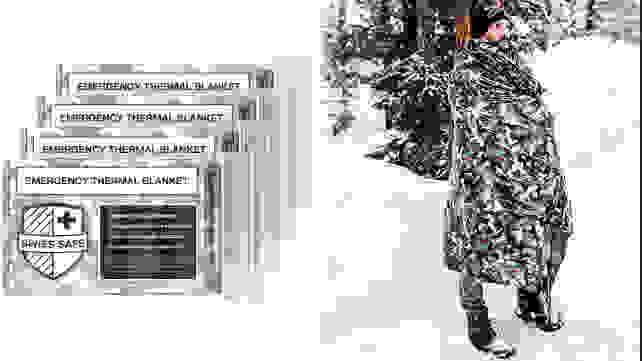 Made out of dual-sided aluminized mylar, these emergency blankets retain up to 90 percent of your body’s heat and can block out rain, snow, and other moisture while you wait for help. 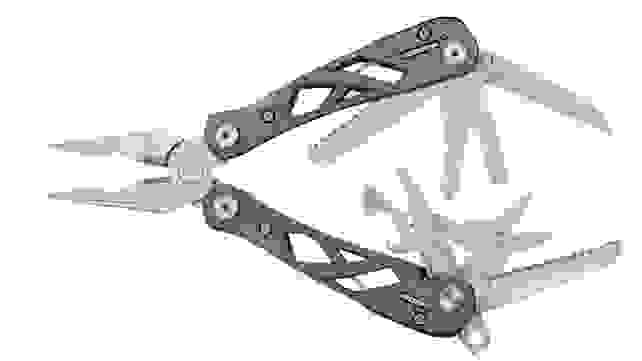 When you’re in a bind, a versatile multitool can make a big difference. More than 2,000 reviewers on Amazon rave that this one from Gerber is worth the investment because it’s like having a whole toolbox at your disposal, and it's more affordable than other popular multitools. You get a lot with this lightweight yet tough tool, from a wirecutter to a set of needle-nose pliers, and even a can opener, a.k.a the kind of crazy-good functionality you need in a crisis. Never leave for a road trip without a car charger in tow. If you’ve ever traveled anywhere by car before, chances are you’ve used a car charger to keep your phone from conking out en route. That said, a lot of car chargers are absolutely awful for phones, delivering a temporary battery boost while simultaneously depleting your battery’s overall power over time. This one, which we’ve talked up before, won’t mess up your device. Another perk? It’s tiny and it really gets the job done. The phone mount you've probably needed for a while. Using your phone as a GPS while you chart a new course? You don’t want to be fiddling with your smartphone when your attention needs to be on the road. It's not only dangerous but also very illegal to use your phone while driving in many states*—and that’s where these magnetic mounts come in. Compatible with most devices, these can help keep your maps visible yet firmly in place. 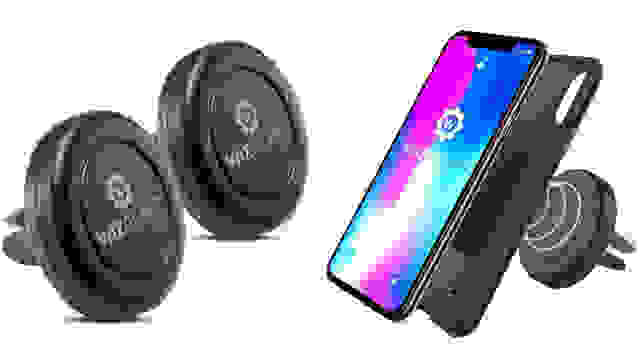 Amazon reviewers love these mounts, which were one of the most popular things our readers bought in 2018 too. *Even if there's no official law in your state, please never use your phone while driving. The brightest flashlight you'll ever need. In need of a little extra illumination? 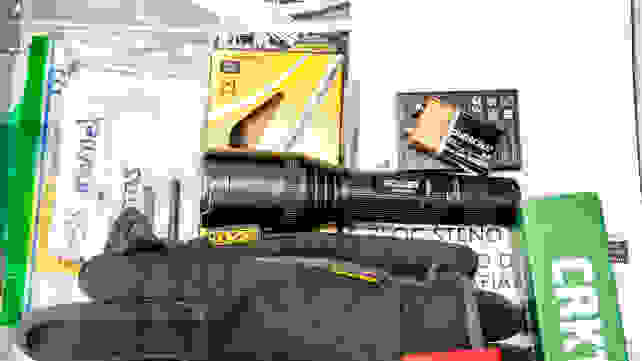 Named one of the best portable flashlights for its rugged durability and superior value, this popular option from Anker sheds a lot of light on the things you need to see the most. It lasts for up to 20 hours and has a resilient aluminum body, so you can even use it for self-defense if needed. This is something you should buy even if you don't have cats. It might seem weird, but lugging around some cat litter in your trunk is one of those cold weather "hacks" that could end up paying off in a big way if you ever get stuck in the snow or ice (or even mud) and your tires need extra traction. 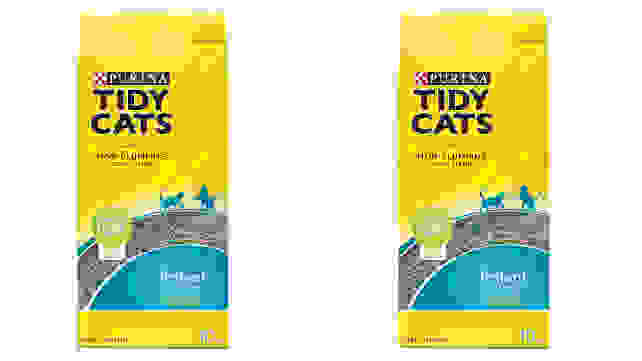 Non-clumping cat litter is the best kind to use, so don’t be afraid to stock up this winter. In case you're ever trapped in your vehicle. No one wants to think about being trapped inside a car after a wreck, but it can happen. When you need to get out fast but you’re stuck, this two pack of escape tools from VicTsing can make all the difference by helping you to break through glass and slice through seatbelts with ease. For when you need a jump start. Every driver should have a set of jumper cables in their car, but not enough of us do. 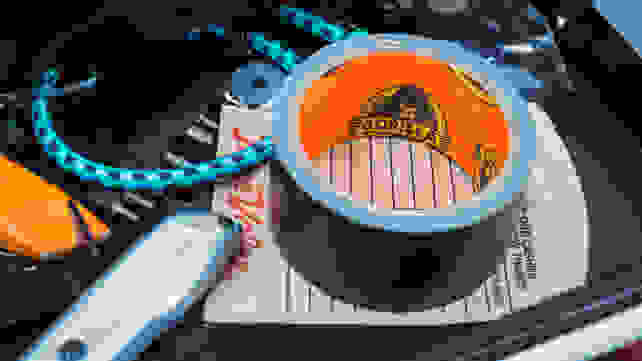 These 20-foot cables from Cartman are surprisingly high-quality considering how cheap they are compared to other options you might find at a brick-and-mortar store. Copper-clad yet still fortified, these jumper cables could definitely bail you (or someone else in need of a jump) out of a bind. Stranded? You might want to start a fire when it gets cold. 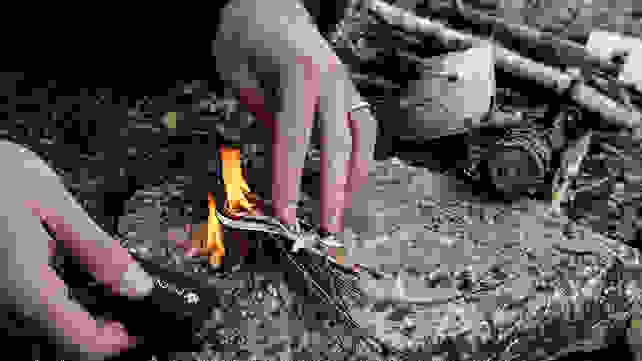 No matter what the weather is like, a flint starter like this one can make it easy to build a fire for survival. This comes with a flint rod and a striker, which also doubles as a bottle opener. You won’t need to be a boy scout to get the hang of this since it’s designed to be used by both experts and total novices. Duct tape will solve any problem, if only momentarily. There’s a difference between good duct tape and bad duct tape, but Gorilla Tape is in a category all its own. As the best duct tape out now, it offers amazing holding ability and can hold back leaks for several minutes at a time. This duct tape also tears well yet offers immense adhesion, so much so that for minor car repairs, it’s certain to hold up well enough to get you home or to your mechanic. You never know when you'll need to tie something down. You may not need to strap things down all the time, but when you do, these bungee cords are really helpful to have in your backseat. 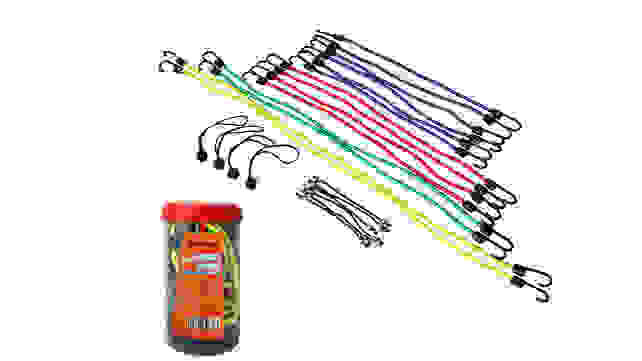 This 24 pack is top-rated on Amazon with more than 1,300 positive reviews, and the cords themselves are color-coded based on length, so it’s always easy to find the right one whether you're keeping your bumper on or stashing luggage on the roof. Messy vehicles can make you feel like you’re driving around in a trash can. 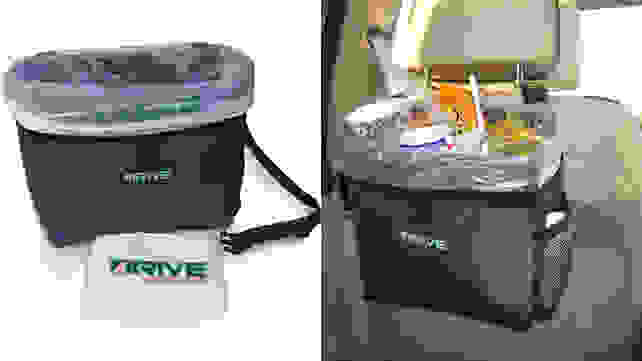 Rather than relying on stray baggies or tossing all your garbage into the backseat, try using this one instead. You can keep your interior clean and make your whole driving experience better in the process. If you ever deal with snow and ice, keep one of these in your car. 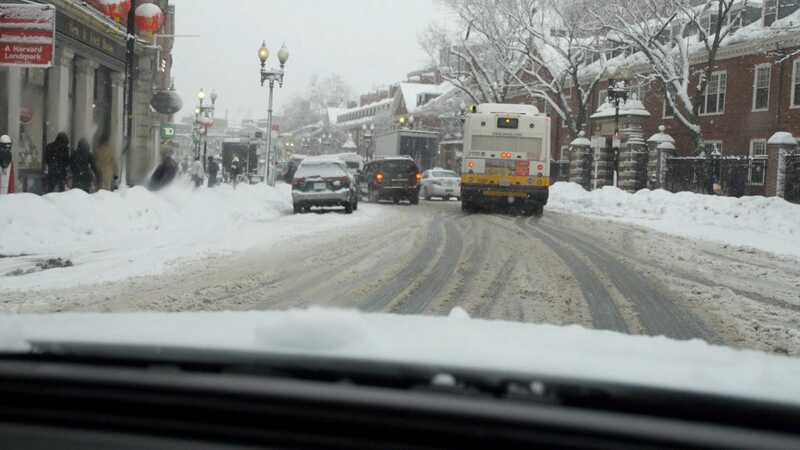 After a major snowstorm, ice and snow can stick to your car, making it impossible to navigate the roads safely. 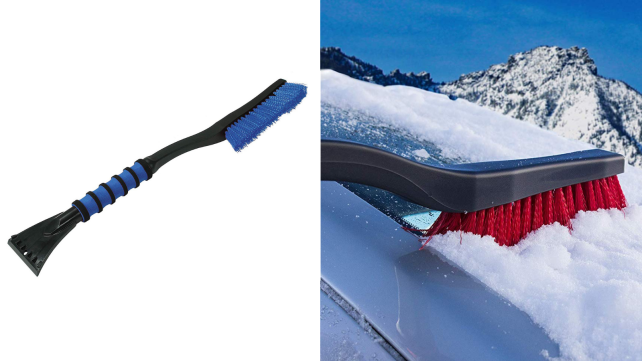 Heavy-duty scrapers like the best-selling ice scraper/snow brush combo change all that, removing the toughest bits of ice and snow without leaving any scratches behind on your car. Nearly 90% of the over 1,800 reviews gave this winter car cleaner 4 or 5 stars, and many were quick to point out its durability and the "comfort grip" handle. 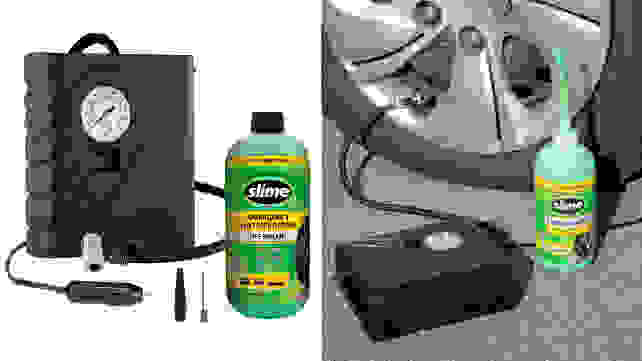 Take the hassle out of repairing a tire with this kit from Slime, which comes with a sealant and inflator that can quickly plug a leak so you can get safely to your destination. Designed to fit easily in your trunk, this kit is compatible with most standard tires and is great in a pinch until you’re able to get to a service station or off the road. Keep up with weather and hazard information even without service. In the event that you're stuck in the middle of nowhere with a dead car battery, having a little wind-up radio like this can help you stay on top of the latest weather and hazard information happening in your area or at least give you some tunes while you wait for help. 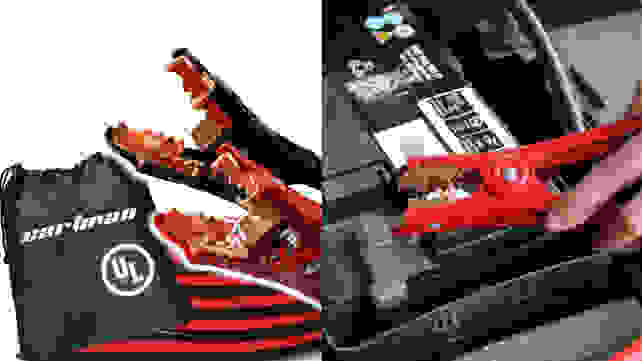 You can charge up this particular model in one of three ways: micro USB, solar, or manual hand cranking. 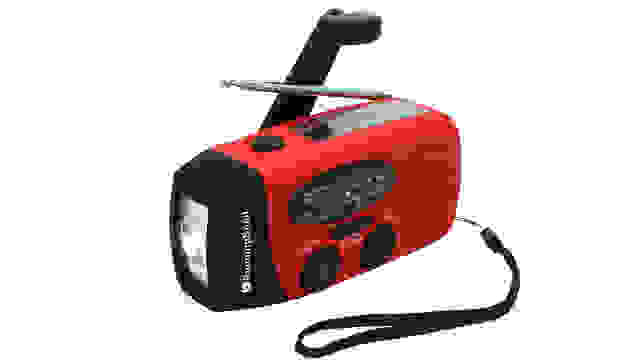 This can be especially convenient in an emergency, not to mention it also comes with a built-in flashlight for added support.